I know who you are and know what you want. In fact, it's an expression OF YOU. YOU WILL create the life you TRULY DESIRE. In fact, you'll probably create more than you've ever dreamed of. And that, my love, is what I'm here to teach you to do. I GUIDE women (just like you) to ATTUNE to & align with their deepest desires, so they can manifest & Create ANYthing they want. And I want to show you how to do the same. My articles about conscious relationships, spirituality, & attracting love have been read, resonated-with, & shared by hundreds of thousands of people. 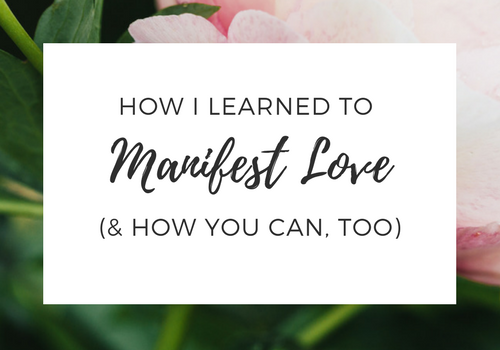 My programs are designed to teach you how to Become the embodiment of Love to create everything your heart desires. The reality is: You are here to CREATE and AMAZING LIFE! You are here to LIVE, LOVE, PLAY, EXPERIENCE, & BE the Fullest, Truest Expression of Yourself! When you come into alignment with the Truest Essence of who you are, you'll experience Wholeness, Fullness, Presence, Union, and Completion deep within. that are deeply Fulfilling to you. Like, on the DEEPEST LEVEL. and you'll create everything you desire.